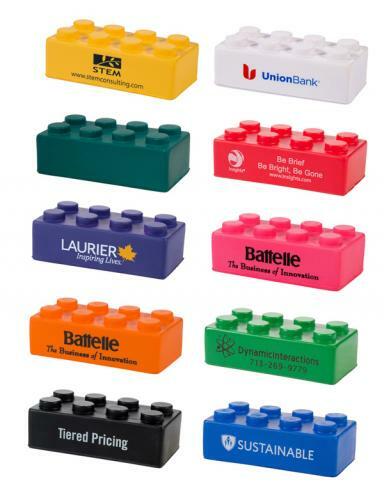 This fun stress reliever in the shape of a building block is great if you have multiple messages to promote. It's a popular choice for office or workplace team building too! Choose a variety of colors and put your logo on one side and a unique message on the other side. Note: The total minimum order quantity per imprint is 100 units. The minimum quantity per color for assorted colors is 50 units. Individual set polybagging available for $0.15/set.